Replacement: None. 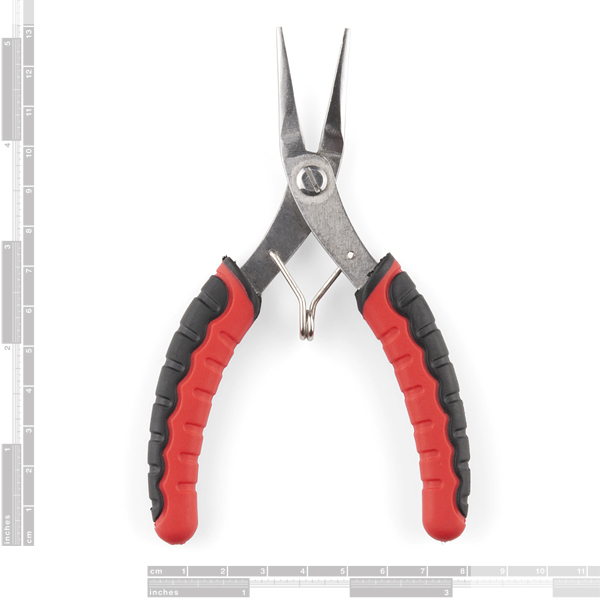 We are no longer carrying these long nosed pliers in our catalog. This page is for reference only. These pliers are perfect in situations where your standard needle nose pliers are a bit too wide and a pair of tweezers just isn't sturdy enough. 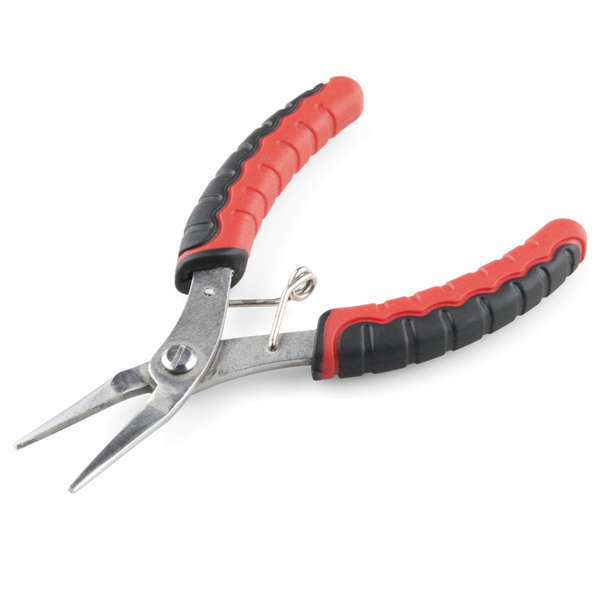 These slim, long needle-nose pliers feature the same return spring and rubberized grip as our flush cutters. These are absolutely terrible. They close, but there's a sharp edge on one side of each of the clamps, so you're as likely to crimp/cut the wire as hold it. They bend very easily. It's for wires and wires only. Yes, they are close to useless.